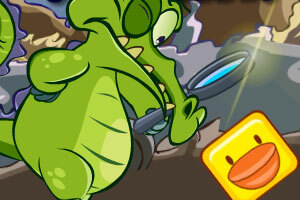 Description In the game, you must to use the changeable duck to help Crocodile get home. There are all kinds of dangerous things and the duck is the only friend of Crocodile. Go forward, Crocodile! Controls Arrow keys to move Changeable Duck,1,2,3 to change its form; Space to start or stop Crocodile.